Rub fish blocks with turmeric powder and salt. Leave aside for 15 minutes. Using a food processor, blend smooth ingredients marked *. Heat oil in a wok and fry the fish blocks until golden. Drain on paper towel. Using the same oil, stir fry the blended ingredients together with lemongrass for 2 minutes. Add dried chilli paste and continue stirring for another 10 minutes over medium heat, until the raw smell leaves. Add tomato puree, water, tamarind paste and salt. Place the fried fish blocks in the gravy and mix gently. Allow to simmer and check for salt. By the way, Ashika's Orientation Day 2 went on fine today. She was sleepy though...LOL! Hello, making me hungry in the morning. loved your stack of fish. ha ha actually am veg... but it drools me.. Drooling....!!! One plate of rice is definitely not enough! Yum! 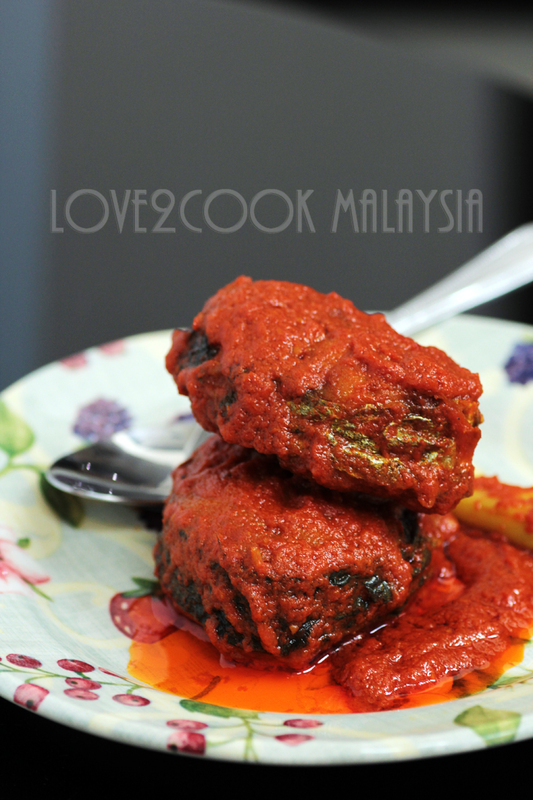 Mouthwatering here..Drooling here, cant resist to this fabulous dish. Will finish my lunch and dinner tooo. This is beautiful. What a great dish,drooling here..thanks for sharing,can't wait to try this. 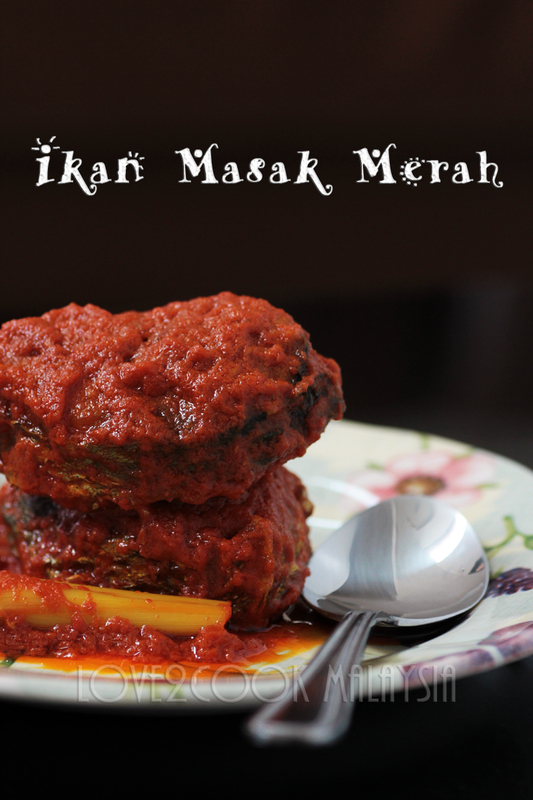 Ikan Masak Merah with a Bang! Just love looking at the photo, wish I could steal a piece :) Ashika must be so excited with her new experience! This is one excellent post:)definitely worth trying! ohh yummeh! 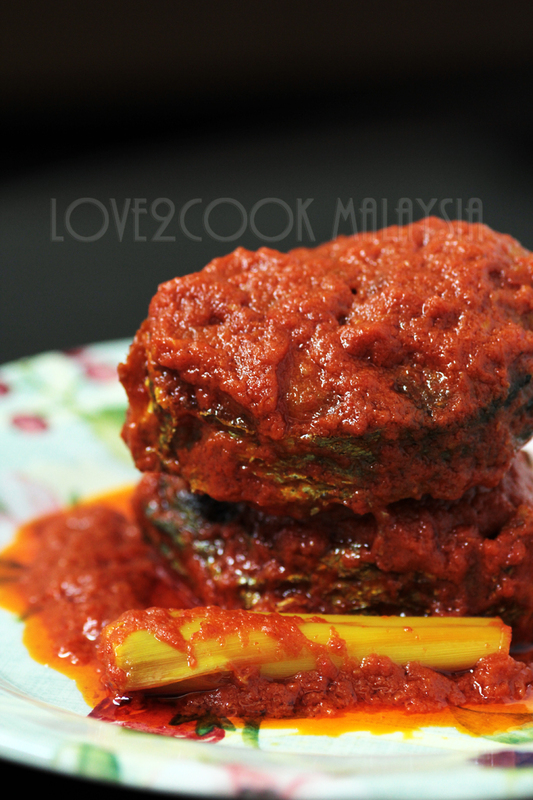 I love ayam masak merah, didn't know the sauce can be used for fish too. definitely must try this. 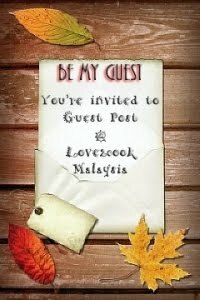 this is so so tempting, makan dengan nasi lemak must be nice too. Can you please get me 2 plates of rice! YUMMY!! 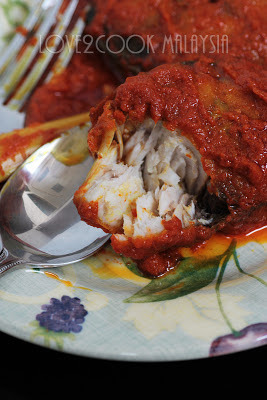 this is completely ..mouthwatering ..awesome ..love the recipe..
keep up the good cooking ..love ya!